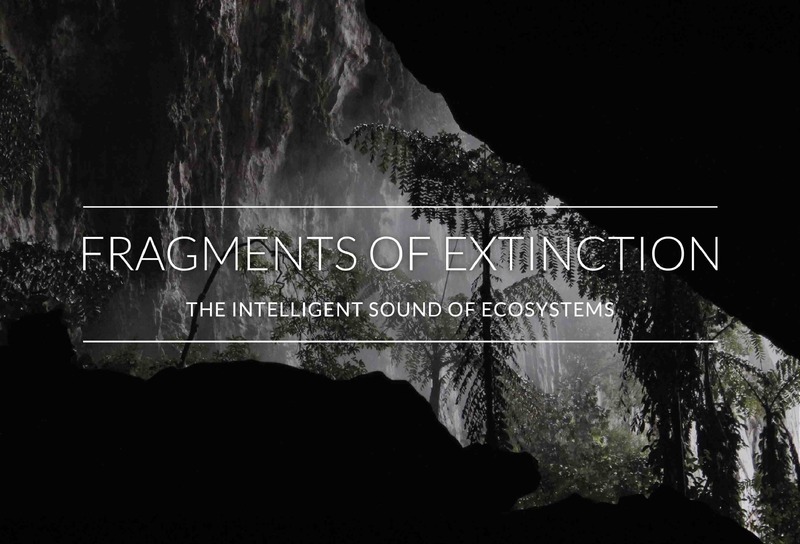 Starting on June 11th, a première demo-exhibition of Fragments of Extinction - The Intelligent Sounds of Ecosystems will be featured in Trento, in collaboration with MUSE. The visitors will have a unique opportunity to listen to soundscapes of ancient and remote habitats in a mini-prototype of the Eco-acoustic Theatre, the scalable geodesic facility designed to listen to primary ecosystems and learn about their fragile, "organized soundscape". Sound portraits, sampled from the three most biodiverse regions in Amazonia, Africa and Borneo, will be reproduced as naturally occurring, with full-periphonic technology, in absolute darkness. Spectrogram analyses will further explain the network of inter-specific and intra-specific communication (acoustic niches configuration), allowing the audience to access the organic structure of the sound environment. The final part of the demo-session will include an eco-acoustic composition, in which sensor-driven sound synthesis will integrate and explore the ecosystem. Listening sessions will run daily from 9 am, till 9.30 pm. The prototypal facility will allow 8 people per session (20-min. duration). Bookings requested at: Eventbrite (https://goo.gl/LK9SoV), MUSE Desk Office, or at the Theatre (subject to availability).